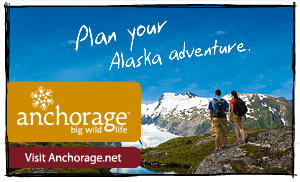 Location: Junction of Klondike Hwy 2 north to Alaska Highway near Whitehorse/south to Skagway and Tagish Road Hwy 8 from Jakes Corner. Population: 400. Visitor Information Center: (867) 821-4431. Carcross is a picturesque village less than an hour drive from Whitehorse. Carcross is an abbreviation of Caribou Crossing, the original name accorded the location because of its early day significance as a hunting area. The golden spike was set in place when the last rail was laid at Carcross on July 29, 1900. 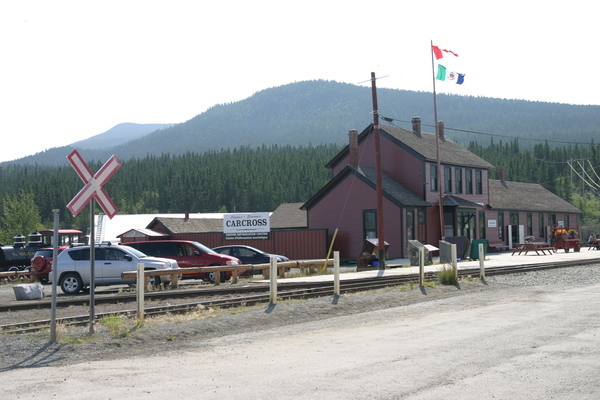 Carcross was a major depot for the White Pass & Yukon Route Railway until its closure in 1982. In the early part of the century, Carcross was also a supply center for the Conard Mine on Windy Arm of Tagish Lake and shipment point for freight destined by lake steamer to the gold rush town of Atlin. 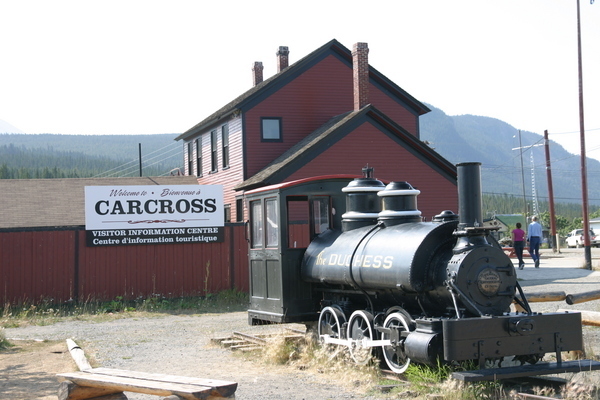 Carcross was established during the 1898 Gold Rush when the White Pass Railway was built. Many of the Yukon’s First Nations people were sent to Carcross to attend the Choutla Residential School, established in 1901 by an Anglican Bishop and closed in the 1960s. The current site of Carcross was a seasonal gathering place in early times, during the caribou herd migrations. The area is also known in the legend "Game Mother" as the very important site where many different animal species were born. 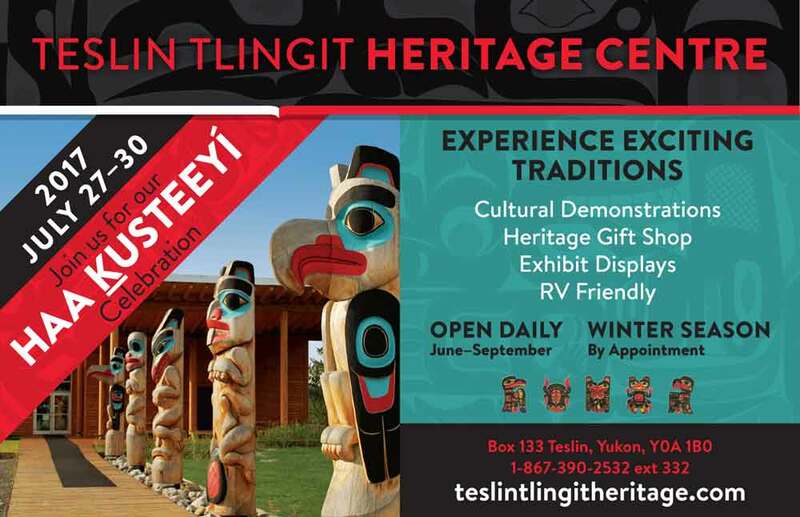 The Tlingit clans who settled in the area brought with them the rich culture and traditions which survive today. Walking through the historic town of Carcross, visitors will see many houses from the era of the Gold Rush. The Caribou Hotel, famous for a rather obnoxious parrot, was built in 1900. 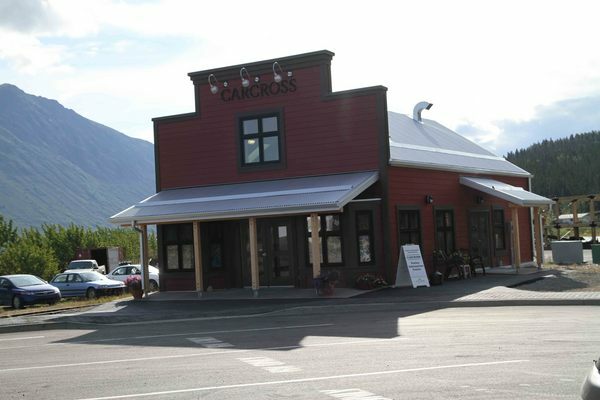 There are two historic churches and the old Carcross Train Station is now the Tourist Info Center. Visit historic Carcross Barracks, full of antiques, curios and Yukon crafts, then drink in the famous view of Bennett Lake and walk along its scenic shore.